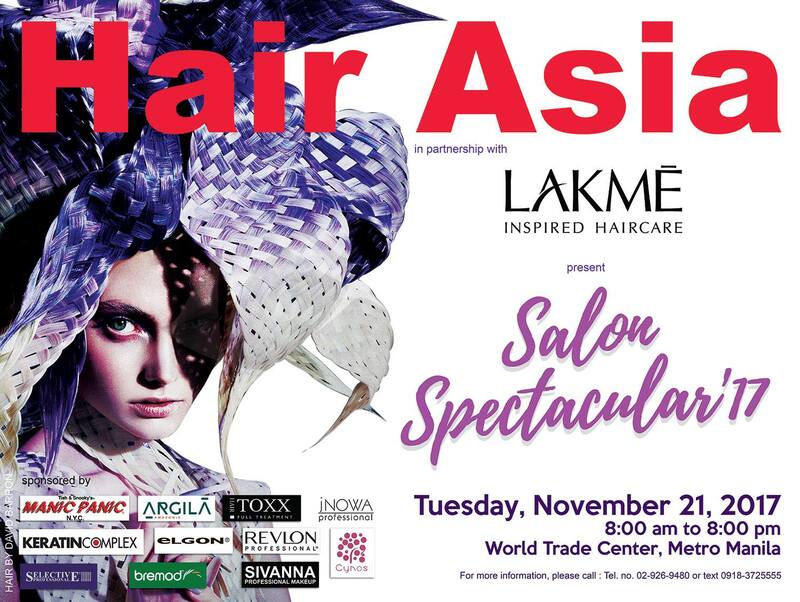 Hair Asia presents Salon Spectacular Beauty Expo Under One Roof on November 21, 2017 from 8am to 8pm at World Trade Center Manila. 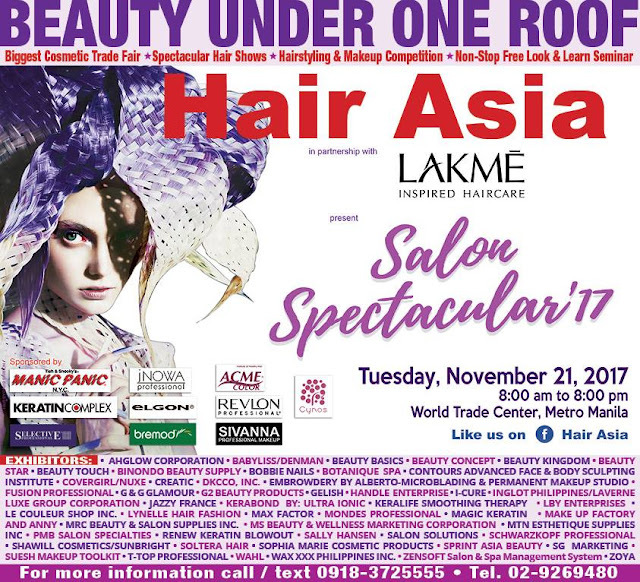 Enjoy up to 80% discount on participating beauty brands. Get freebies, discover thousands of new beauty products and tools, as well.